Get your project off on the right foot, and you have a far better chance of making sure the entire thing goes smoothly. That’s why, right off the bat, you need an effective way of listing all the tasks that need to be done, and dividing them among your team members. 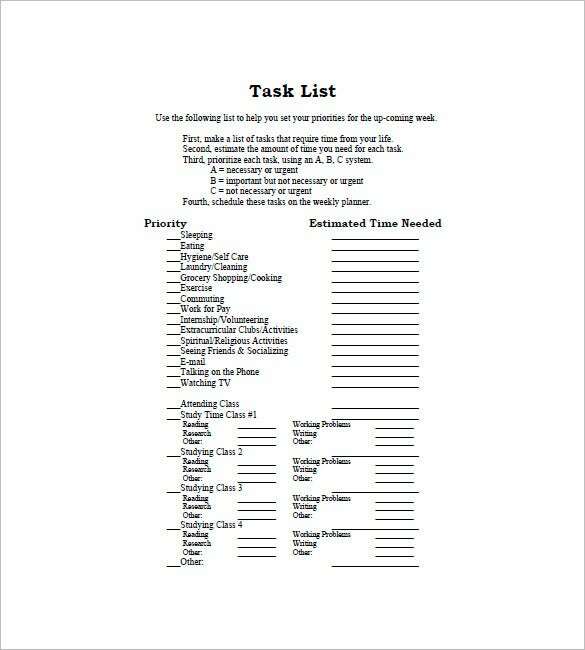 And these premium free sample task list template are a great way to do just that. 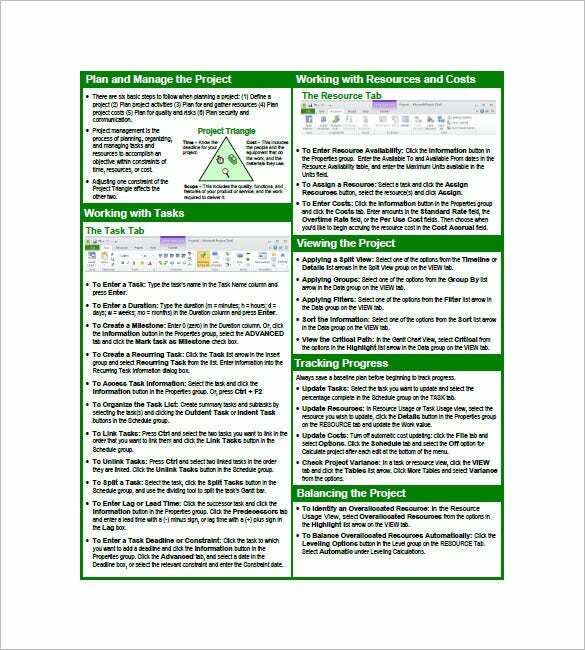 ala.org | A sample project task list template free download is a document containing an interesting format of a project task list. 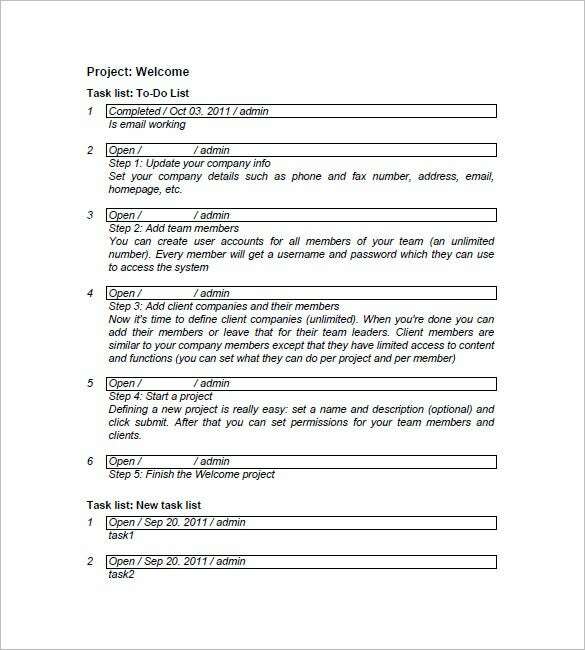 In this document, a user can fill in the number of tasks that he has to do for a particular project. This template is made in a tabular format with lot of space to fill in the same. One can avail this document from the link given below for free use. This one is available in Excel Format. 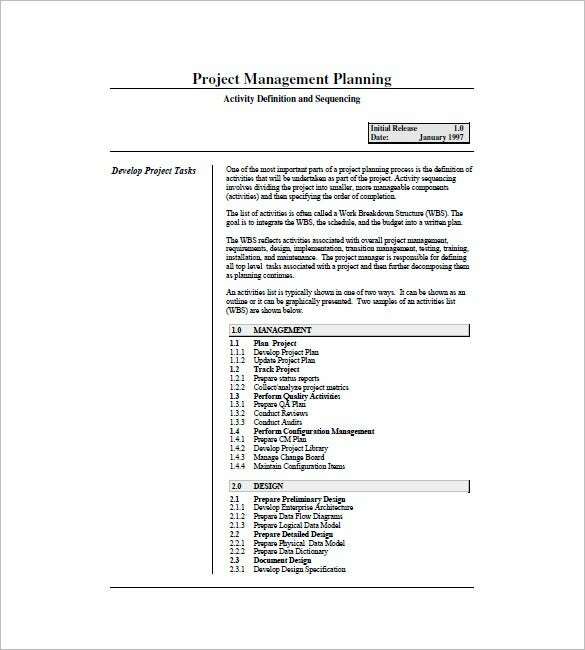 givingdayplaybook.org | Project Management Task List Template is a example of how one’s task list must be. The format mentioned here is quite appealing to the eyes. Also, the layout is simpler and clearer. The file which is available in PDF Format has columns wherein tasks can be listed. 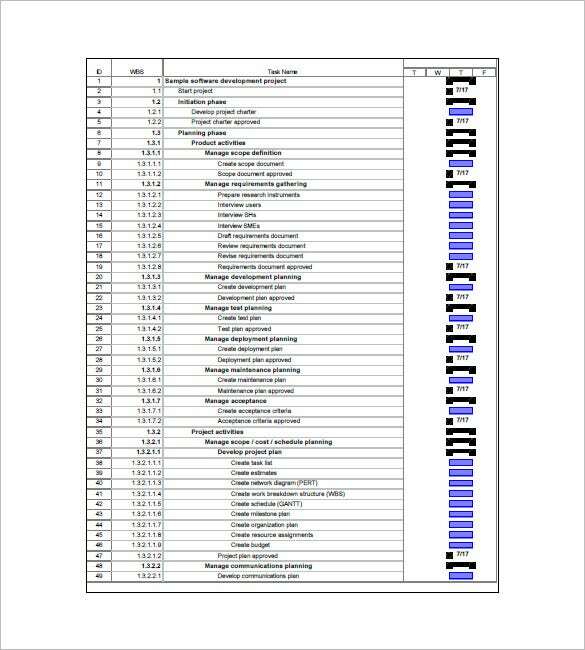 The column heads are as follows: Tasks, Priority Timeline, Time required to complete and the number of volunteers. So basically with the help of this document one can manage the tasks and the project neatly. The template can be downloaded online for free. serve.nebraska.gov | A project task list template example is another example of a project’s task list. 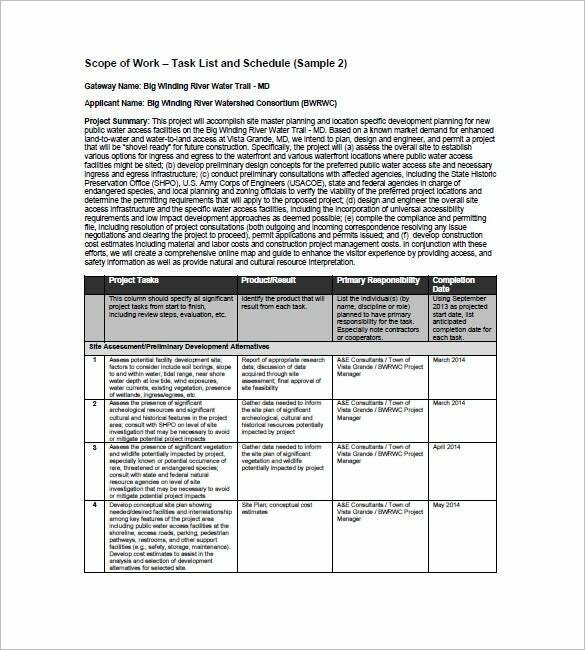 Including the format of a task list, this document is a comprehensive one in which all the important details of a task can be listed. The primary purpose of a task list is to manage the project and the people who will be doing this project. They help one in co-ordination work. Thus one can use this document online for free use. This one is available in PDF Format. 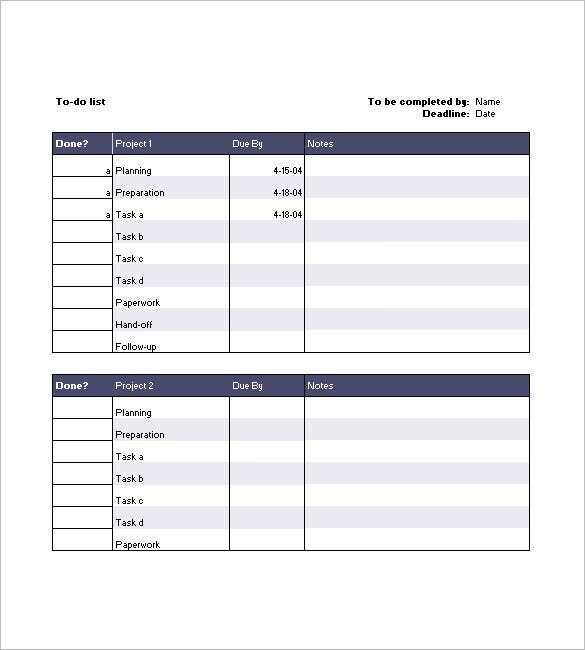 counseling.uchicago.edu | A sample project task list template is a unique template. Unlike the other task list templates, this one is more specific and presents the user with a task list that helps you mark the tasks on priority basis. This one is not specifically for a business project, but it can be used by households. Containing a number of items for listing the tasks that needs to be done in a day, a user can mark them on the basis of priority in this template. Along with that they can mark the stipulated time it will take. Thus it’s an organiser for the users. These examples are high quality list templates that you can use to get your project organized. Just download them and fill them up. You can either print them out or send them out in soft copy. 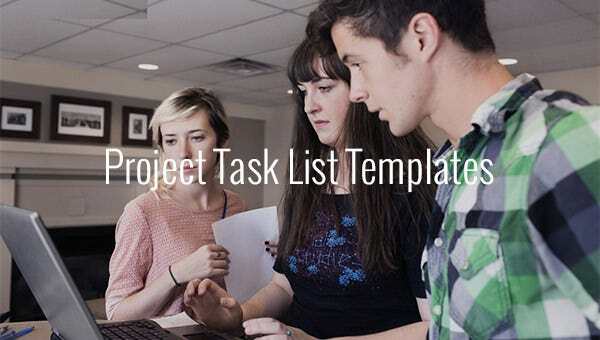 > Why do We Need a Sample Project Task List Template? One needs these sample project task list templates for this same purpose. A task list template does the management work for the users. In this one can fill up the number of tasks that are part of an organisation and along with that one can fill up the time that this task will take. So it is for each one’s reference. > When do We Need a Sample Project Task List Template? 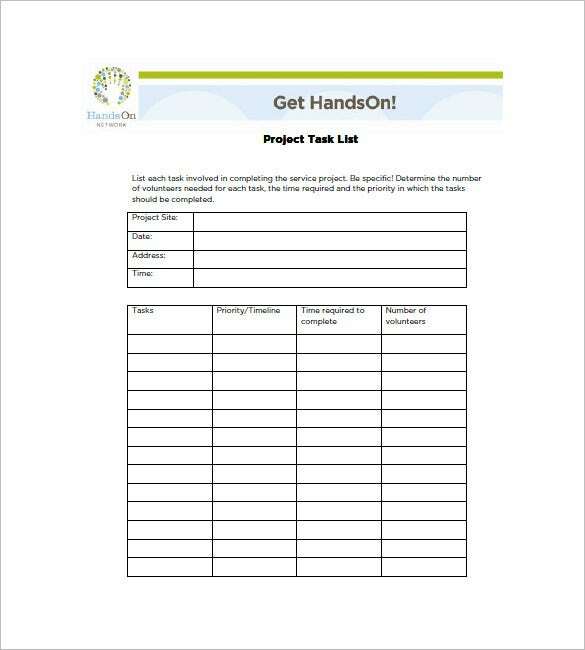 Sample project task list templates are the great ways of organising a work/ project. The templates mentioned in this portal are equipped with good-quality formats through which businesses and organisations can take idea. Thus it can help one in interesting ways for organising the tasks and the duties that each individual under a section must be doing for completion of a project. > What are the Benefits of Sample Project Task List Templates? Sample project task lists primarily solve the purpose of delivering the users a good quality model of task list that they can apply in their own organisation’s project work. Apart from that, users also get these templates without many hassles since they are available just a click away. This saves them a lot of time and energy. 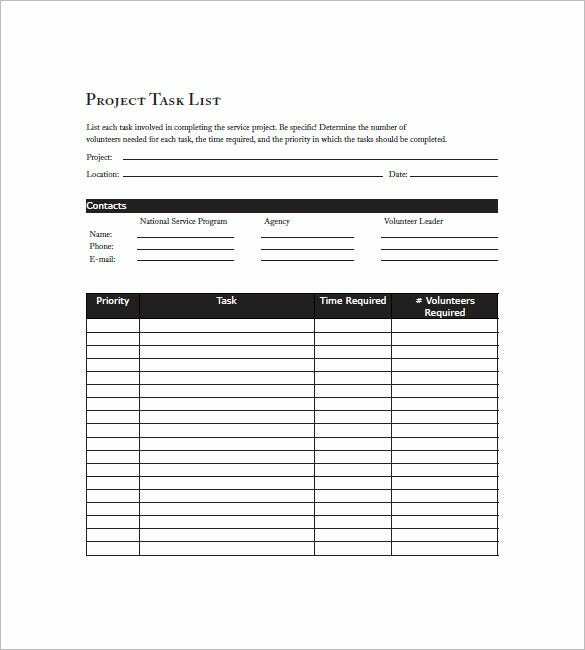 Sample project task list templates are the best kind of task list documents that a user can download for easing their work and managing the projects better. This is why organisations download these free templates which are available in formats like Word, Excel, PDF, etc. If you have any DMCA issues on this post, please contact us!